Here we are for another yarn along! 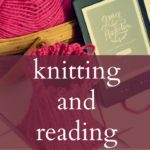 Last week I shared some yarn that I have that I really want to find a pattern for. I have still been unable to find a pattern that I like. I think part of the problem is that it is light worsted yarn, and most of my needles are for heavier weight yarn. Well, of course I have small needles as well, but they are all DPNs and I don’t really want to make socks with it. I could perhaps do a hat though, maybe I will think about that. If you have links to pretty hat patterns, please leave them below! I am also still working on the scarf that I started in January. And I am still not finished…luckily there are a couple weeks left in February! I did decide to pick up another scarf that I have been knitting off and on for Emma. I love this yarn. It is black and a bright purple with sparkly sequins. I thought that I would knit it up faster than I have, but I think the yarn overs slow me down. The yarn is so pretty though, and Emma has been asking me to finish so she can wear it. That may end up being my finished knitting project for February. We are currently reading The Long Winter by Laura Ingalls Wilder. I wanted to read this during our long winter, and it hasn’t been a disappointment! I have read it to the kids before, of course they were 3 and 1 at the time, and don’t really remember me reading it. Our weather has been all over the place, but this past weekend into Monday it was -10 degrees consistently, and that was before we added in the wind chill, yes that is a negative number. Yesterday it turned out to be 48 degrees and was raining all day. Our Maine weather is bizarre. The kids have enjoyed listening to what it was like for Laura and her family, and it has instilled a lot of gratefulness for what we have today. Some of my other reading has been The Perseid Collapse series by Steven Konkoly. They are free on Kindle Unlimited. These post apocalyptic books have sufficiently scared the crap out of me, and I think my next read will have to be Survival Mom by Lisa Bedford…if I could just remember where I put that book! What are you working on this week? Any new reading? The Little House books were my favorite series when I was younger. It makes me smile just to see the cover now. I love that you're reading them to your children. Love the colors in yarn! An this purple will grow into an amazing accessory! Survival Mom is awesome!!! You will love it. One of the better guides out there. I loved the Little House series! I read them growing up in Minnesota 🙂 This winter I've read The $100 StartUp which has been good since I'm starting my own business. That yarn is so pretty. I never actually read anything by Laura Ingalls Wilder, but I did read her autobiography as a kid, and I remember it was a great read! The purple scarf is so pretty! I love the Laura books. 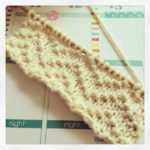 And that yarn you are searching for a pattern for is so pretty! I love these posts of yours. I love Laura Ingalls Wilder. I have a cute little doll of her. I love the color of the yarn you chose for the scarf. I'm sure it's going to come out awesome. 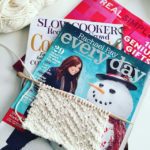 good luck finding a pattern that you like with that pretty yarn! I love the laura ingalls books and they are such a treat during the winter (really anytime!). The scarf is gorgeous, I am not a big hat knitter but it seems as though you have lots of suggestions above! 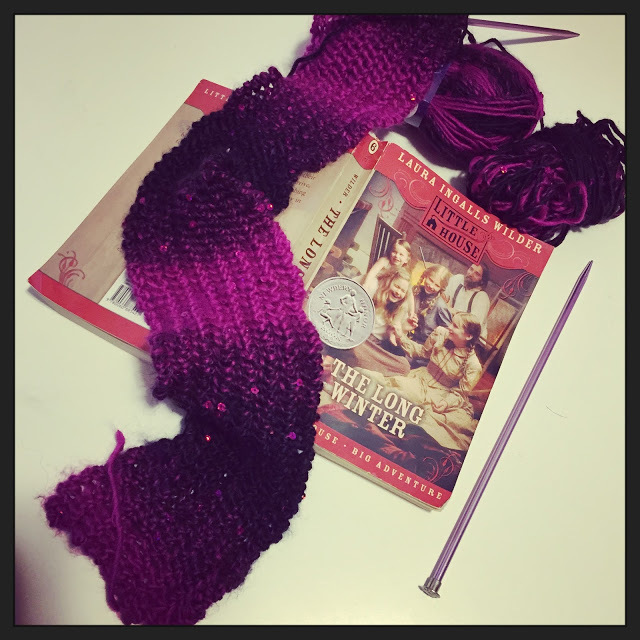 First off I love the color of the scarf and second I LOVE Little House Books, I've read them dozens and dozens of times and they are still my favorite! I loved the Laura Ingalls Wilder books. My daughter is a big reader and I tried to get my her into them but they just aren't her type of book. Love all of Laura Ingalls Wilder's stories! I think the top yarn would make a great hat! Love the purple scarf! 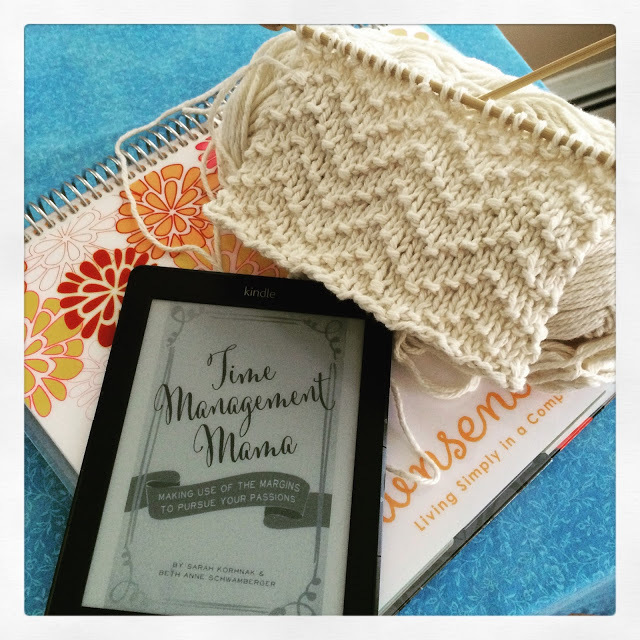 I really need to learn how to knit! I think that would be very relaxing. Love the neutral color of that yarn. I need to get back into knitting. Gorgeous colors for the scarf! I think that tan-ish yarn would be great for hand warmers. The ones that have the open fingers. The Long Winter is my favorite book. I usually read it every year after Christmas, but this year it has not happened. I need a little comfort, I'm pulling out that book and a hot bath….relaxation! I just bought that same yarn in the grey colorway. I have to go back and get a skein of the beige. It is essentially sport yarn. I would look on Ravelry for a hat pattern. I am going to crochet a hat with it. I love the scarf yarn. What a pretty color combo with the sequins. i love the books of laura ingalls wilder,….the long winter is my favourite. the scarf have a grandios colour. What a gorgeous royal purple colour it is stunning!I have no idea how to knit but it looks therapeutic. I am not a yarnover fan. They're okay. But not my favorite. 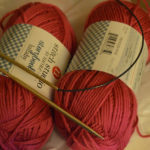 The yarn for Emma's scarf is gorgeous – I don't blame her for wanting it done! I'm glad I'm not the only person who loses books! I would like to reread the Little House books some day. I started the series with my kids but never finished. 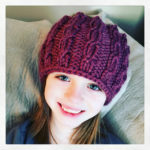 There are so many great hats for light worsted: Rikke, Graham, Grace Lace Beret, and Vine & Leaf Beret. I loved the Laura Ingalls Wilder series when I was a kid! Haven't read them since. Great idea to bring them out to read to my kids now. I love that purple. I think that scarf is going to be really pretty when you are all done. I love the yarn you are working with for the scarf. I love how it changes shades. What a perfect book to be reading right now! comes to towels and such – although I am just happy if I have something to use! not sure a heavy winter scarf would work with it. We shall see! 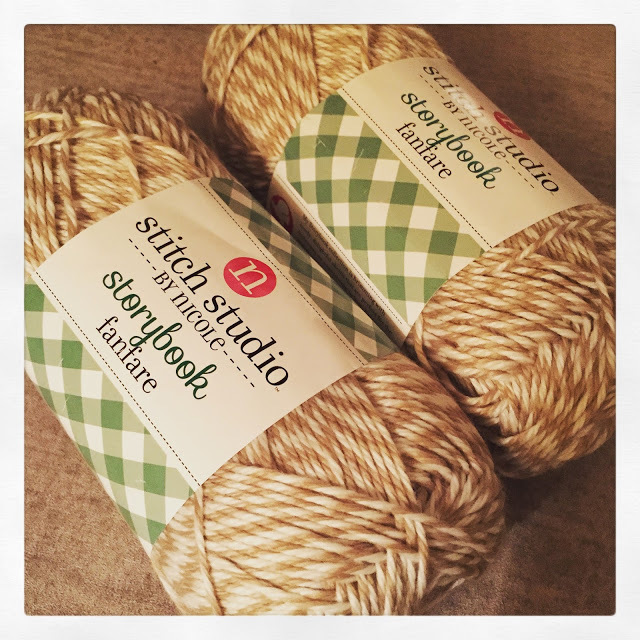 can come up with an excuse to go shopping for yarn? It seems to be often recently! is a struggle to realize it isn’t something I need, far from it actually. back on track, it has fallen off lately. Perhaps more trips to the library are in order! Beautiful pattern, it will look amazing as a scarf. Lovely pattern, and I agree, one you could use for numerous projects. And a set of cloths with the same pattern would be great. great pattern…and I think you are right; it's nice to have a 'set'. Read a couple of the Outlander series years ago and liked it; maybe time to jump into the series again? That really is a nice pattern. And I agree – social media has a bad habit of making us want what we really don't need. I'm working on that myself. The chevron is really cute- I like to try having cloths on hand for gifts sometimes too! Happy reading, I'm in the same over looking for a simple grabby read right now! Great pattern – simple but really effective. I love Lord of the Rings, but when I first read it when I was about 18, I couldn't get into it. I went back to it 10 years later and now I've read it about 5 times. I am planning on starting the Outlander books too. I want to watch it, but I always like to read first. Great idea to make cloths and have them on hand for last-minute gifts. 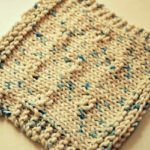 Lovely stitch, equally lovely yarn. love that pattern too. Never read any of the Outlander series myself. I really like that chevron pattern too Heather and I will be digging in my stash to cast on a few of those cloths myself. I keep hearing about the Outlander series too, it's very popular, but I've never read them.